Product Description: 17-Inch Collapsible Mesh Food Tent. 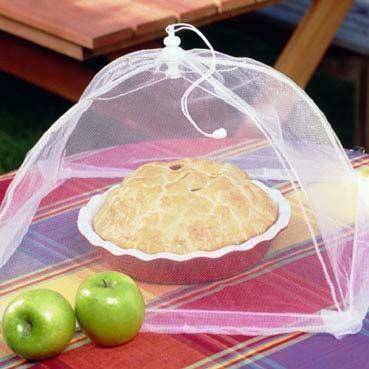 On the patio or at the beach, this mesh, domed food tent protects your food from flies and insects as you enjoy a picnic. Use it to cover one or more dishes like your fresh baked pies or potato salad. The collapsible mesh tent is see-through so you can still see the food.